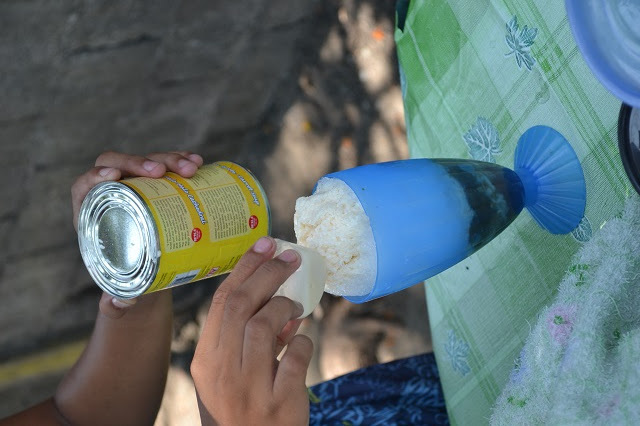 How can you tell if summer is well and truly underway in the Philippines? Well, there's the warm weather for one thing. 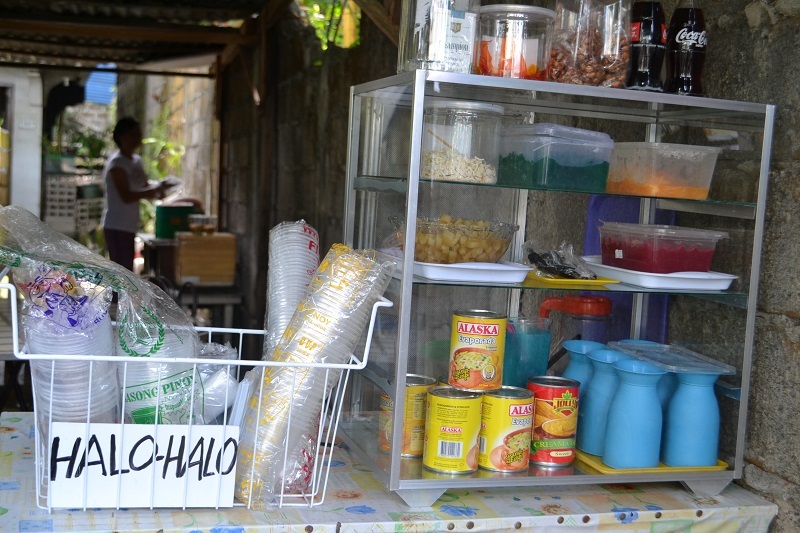 But food-wise, it's the halo-halo stands that sprout in the neighborhood by enterprising households. 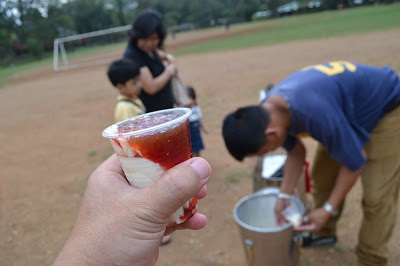 And boy, do I love halo-halo! 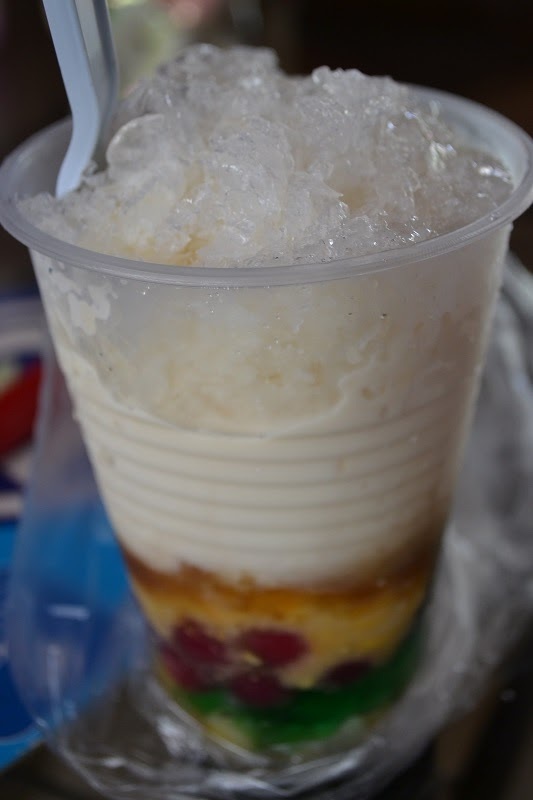 Halo-halo is loosely translated as "mix-mix" and that is exactly what you do with this summer delight. Halo-halo can have any number of ingredients: sweetened bananas, sweet potatoes, nata de coco, gulaman, sweet corn, pinipig, tapioca, kaong, sweetened beans, ube, and even ice cream to top it off. 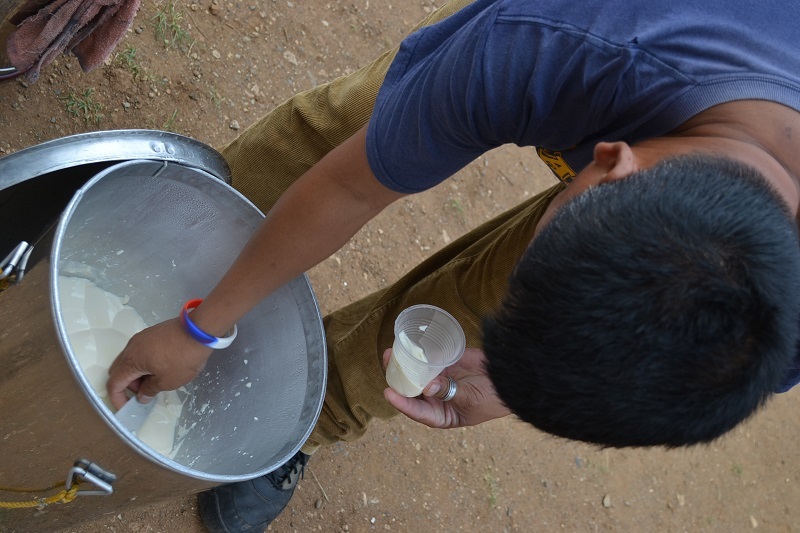 And of course there's evaporated milk and crushed ice. Sometimes they also add this red-coloured water. Whatever it is I do not know, and it has never occurred for me to ask. Now that got me curious! 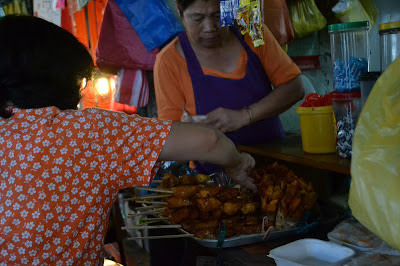 The stall above was at Dolores, in the province of Quezon. 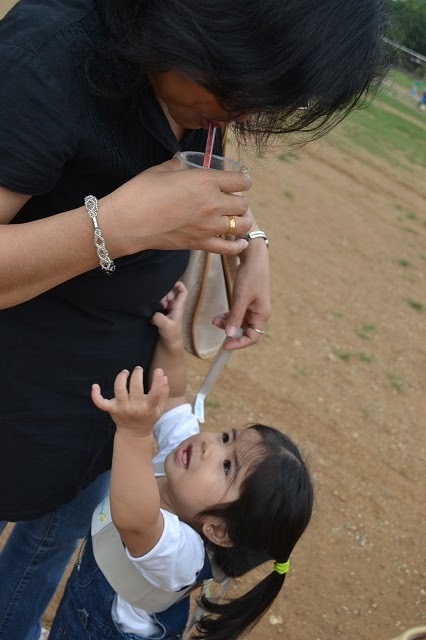 A tall cup cost P15.00 which is like NZ$0.50! 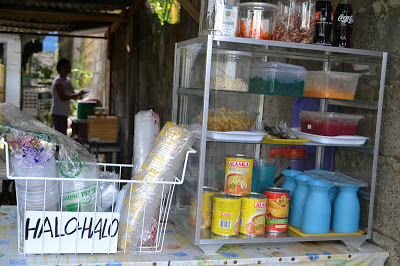 I think halo-halo is the ultimate in fun treats when it comes to summer. But the variety of food that you can buy from the streets and from food stores - not just during summertime - are so diverse that it shows how much we Filipinos love to eat. 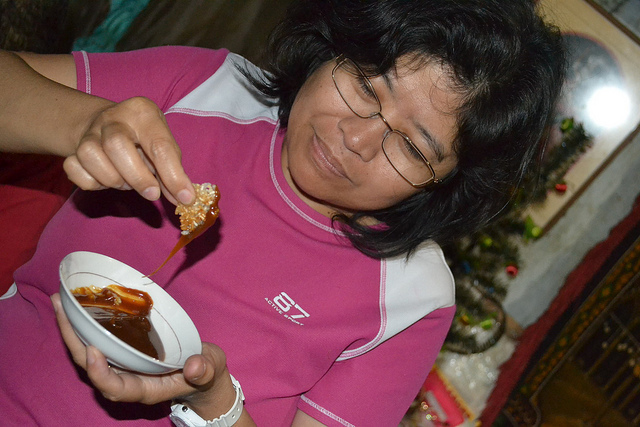 The taho is a soya-based snack, made special with tapioca and sweet syrup. It was our first time to have strawberry-flavoured taho at Burnham Park in Baguio and we loved it. My daughter could not get enough of it! 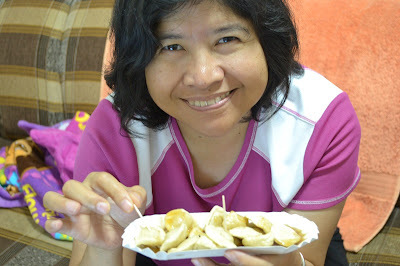 There was a fishball stall near our house which was so convenient! 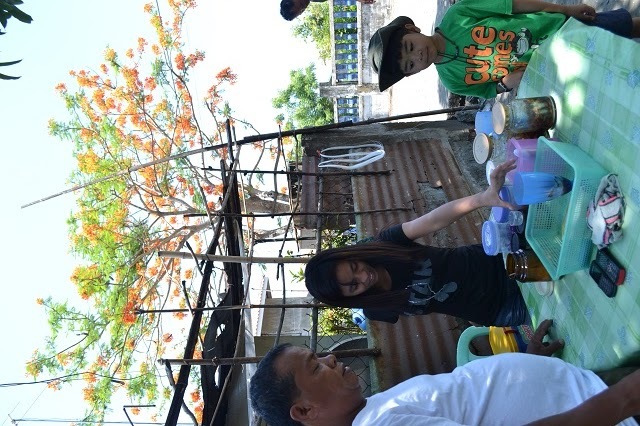 And then I had more halo-halo in La Union, when we visited Tita Rem and the beach. 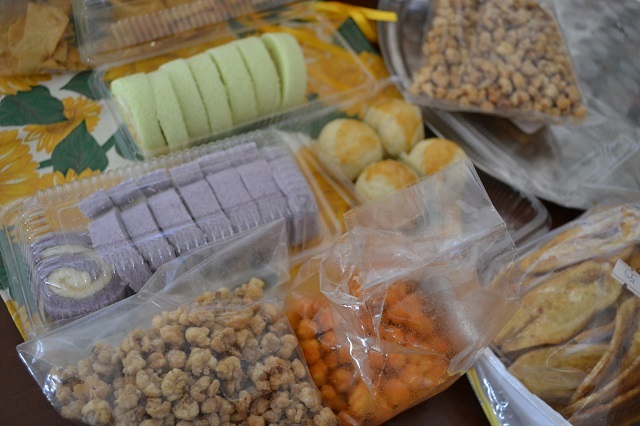 Ninang Tonette also brought some snacks for the afternoon, and we had hopia, crunchy and yummy chichacorn, and some nice pastries. 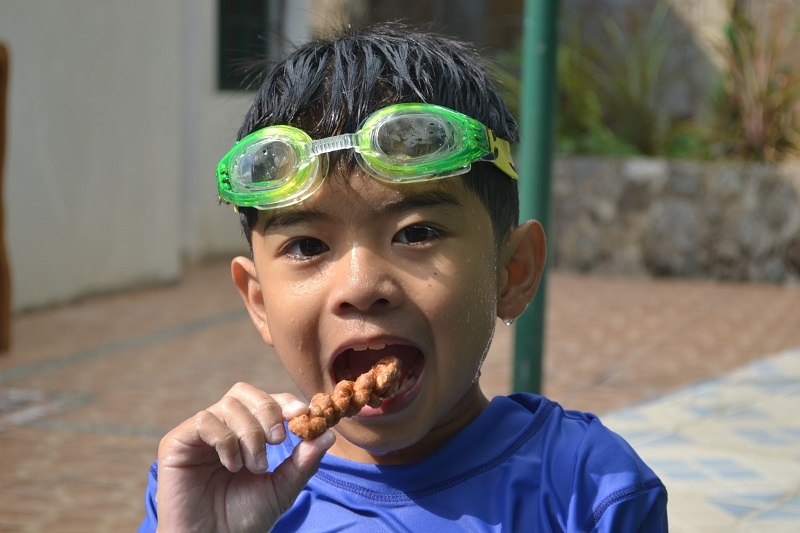 The perennial favourite: banana cue! 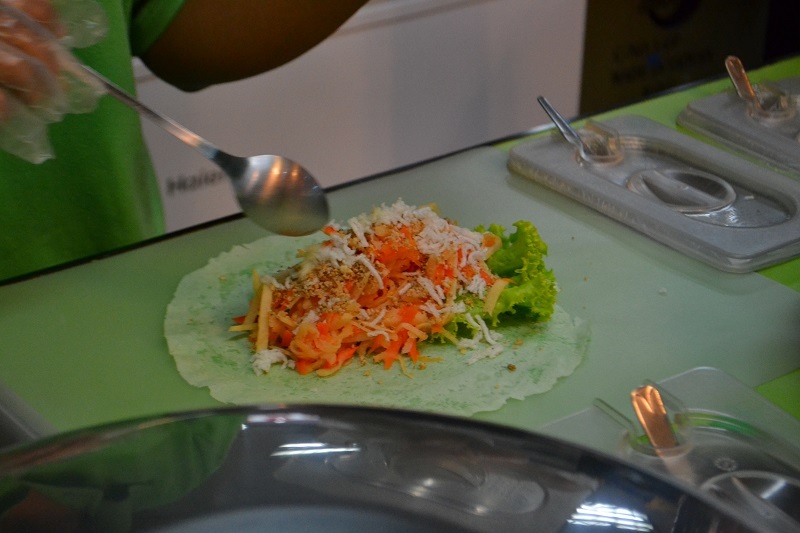 And camote chips! It was ok fast-food wise. But understandably the home-cooked version is loads better (although it takes more time and effort to prepare of course). Jo-Lo tried the pilipit (fried donut twist), but he found it too hard. I ate the rest. Crunchy. But my summer treats adventure would not be complete without rice cakes. 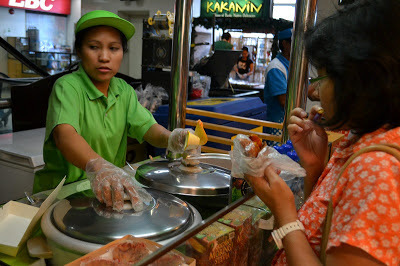 This bibingka I bought from the bus terminal at Sison, Pangasinan. It was cooked the traditional way. 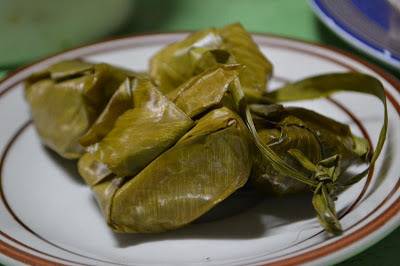 Ladled into a round piece of banana leaf, the batter is cooked between hot coals on clay pots. 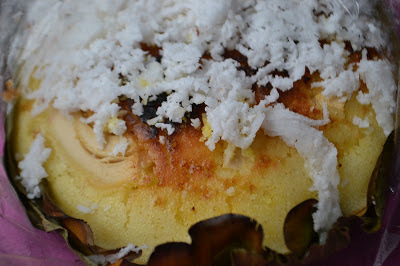 It has salted egg and butter, and topped with grated coconut meat. It was a delight. This bite-sized tamales I had at Dolores. Delicious. 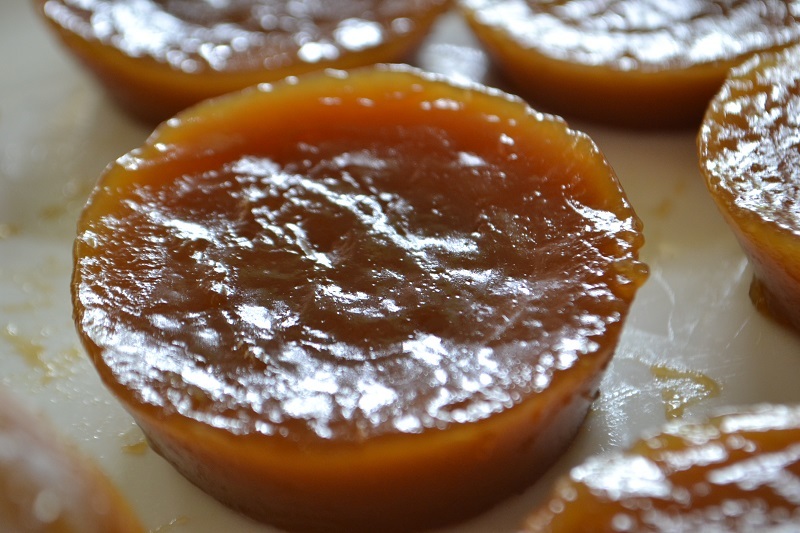 And so was this kutchinta, also from Dolores. The vendor said the recipe was passed on from his grandmother, to his mother, and now he holds the family recipe. It was the best kutchinta I have tasted so far. 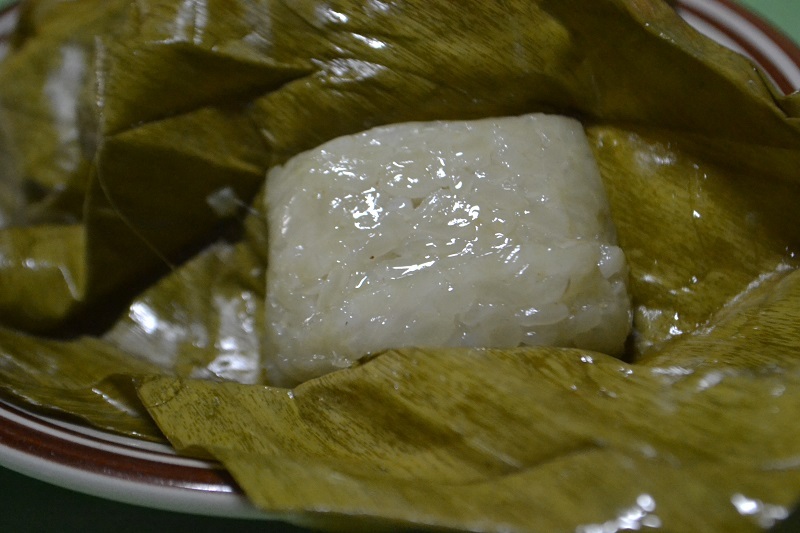 My Nanay and Auntie also made some rice cakes. They know I love these! 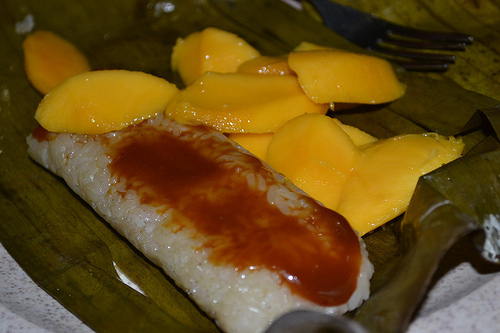 Suman and ripe mangoes are the perfect partners, like dinuguan and puto, as my Auntie says. Even the tutong (burnt glutinous rice that got stuck at the bottom of the pot) had no chance of escape! After all that food, what's next on the list? 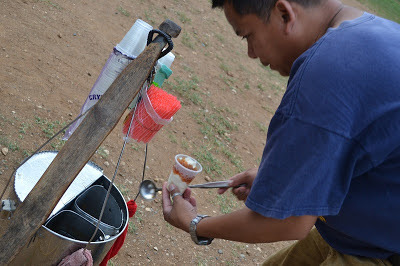 A yummy cup of halo-halo, of course. 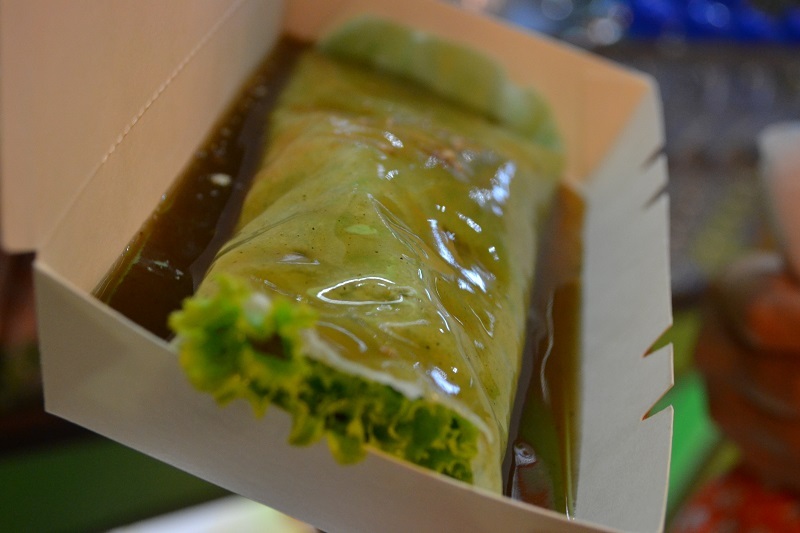 And this is just the tip of the iceberg.... there's so much food to enjoy out there. For the next adventure!